Aww Nigerian lawmaker, Femi Gbajabiamila is a romantic man. 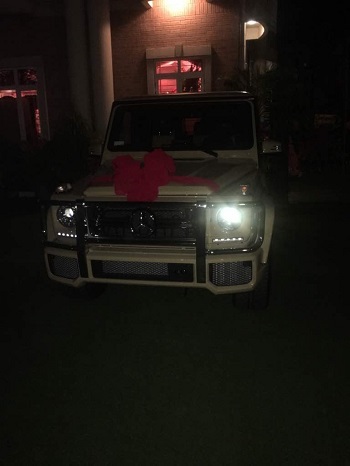 His wife just turned 50 and the lawmaker surprised her with a N38m G-Wagon. 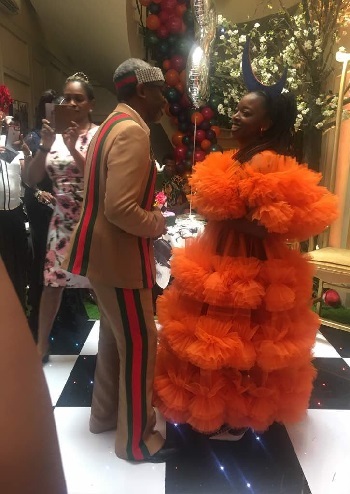 Already people have been condemning him for this, especially core journalists, but mehn, wait a minute, this is his wife, not a girlfriend. Who else should enjoy from his wealth if not the mother of his children who stood by him at all times. Hehehe If Mr Femi is reading this, have no regrets, infact Nigerian men should learn from you o. That a woman is 50 never makes her irrelevant. Happy birthday mama, enjoy your RIDE!